Deep analysis and forecasting of macroeconomic environment. Global, national, sector and regional analysis and insights. Engaging and thoughtful communication of analysis through written and speaking presentation. The Sunday Business Post is one of Ireland’s leading national Sunday newspapers. They also provide an online daily news service. Jim Power was invited to write a weekly column for the daily news service and frequently also for the Sunday newspaper, covering a broad range of economic topics. Insightful communication of the economic environment to engage audiences at think tanks, conferences and business events. Jim has recently written reports for the Association of Advertisers in Ireland (AAI) to create the AAI/Nielsen Barometer comparing trends in advertising spend against those of the economy. Throughout the project Jim has been quick to understand the issues in question and suggest approaches and requirements to help present the data clearly. He is very organised and a pleasure to work with. Jim is a regular contributor to the Sunday Business Post newspaper and website. His pieces are invariably insightful, up to the minute and based on forensic research. They are widely read and discussed and offer firm and often provocative views. Jim is a most engaging and insightful presenter. His depth of knowledge allied with his ability to explain complex economic issues in plain English ensures audiences really connect with his presentations. His ease and skills in dealing with the media also enable him to assist in gathering publicity for events. Jim Power has carried out work for SIMI, the Society of the Irish Motor Industry, over a number of years focusing on the Economy generally and the economic outlook as well as specifically in relation to the economic environment and the outlook for the Motor Industry in Ireland. He has presented these detailed views at member meetings and National Conferences over many years. 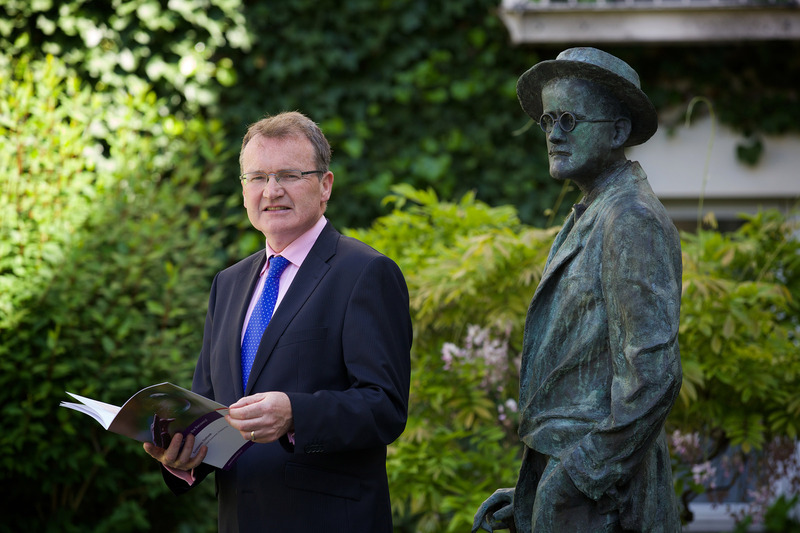 More recently the Society has engaged Jim to produce a detailed Quarterly analysis of the Economy, on an ongoing basis, and of the Irish Motor Industry, as a strategic reference for policy development for the Industry and the major companies within the sector. Jim was selected to provide these Reports based on the accuracy of his forecasting and his deep understanding of both the Industry and Irish economy.